TKO THE HEAT IS ON! 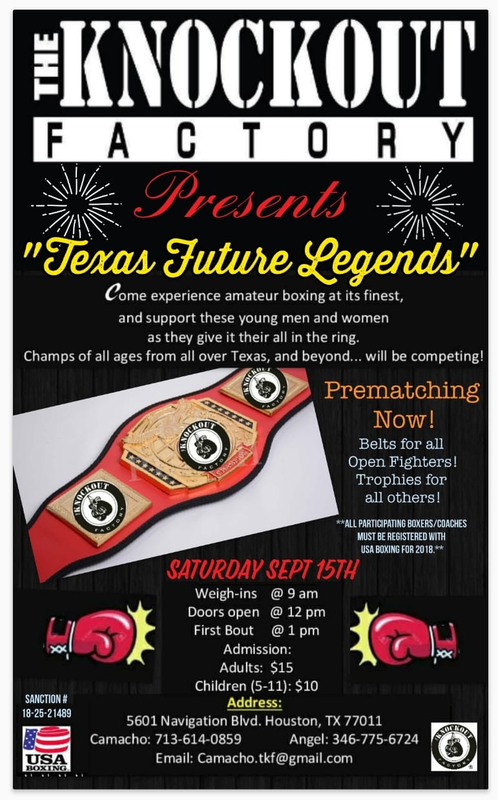 The event will showcase outstanding female and male boxers and door prizes will be given. 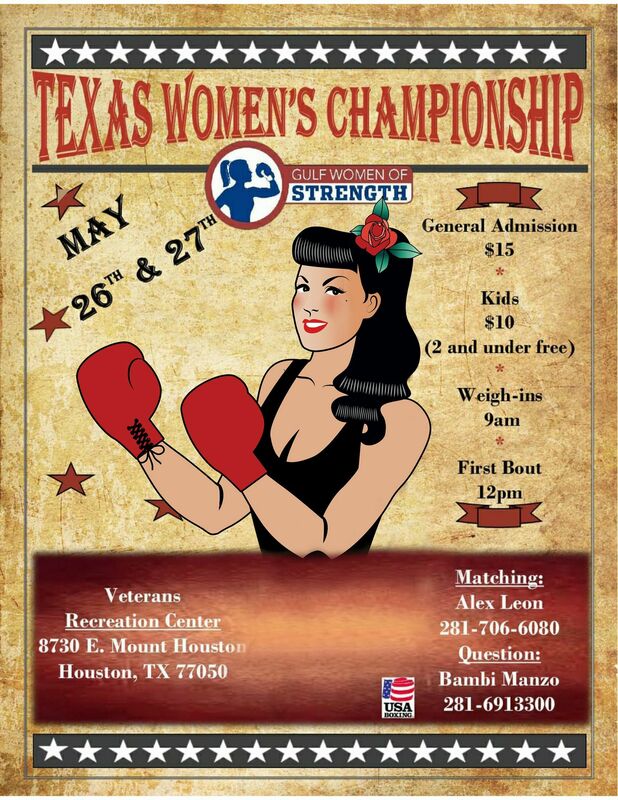 Weigh-Ins will start at 10:00 AM to 12:00 PM. First bout is at 1:00 PM. Contact Chris Lopez for prematching bouts. Note: Please use the comment section for communicating possible prematches. Pre-match Bout: Ivan Torres, 12y, 90#, 0 fights (CDM) vs. Franciso Gonzalez, 85#, 13y, 0 fights (Aztlan). Agreed by Carlos Herrera [832-466-5922] and Paco Gonzalez [713-385-9033]. Northwest Boxing Gym…Juan Lopez….We have one fighter for TKO show. 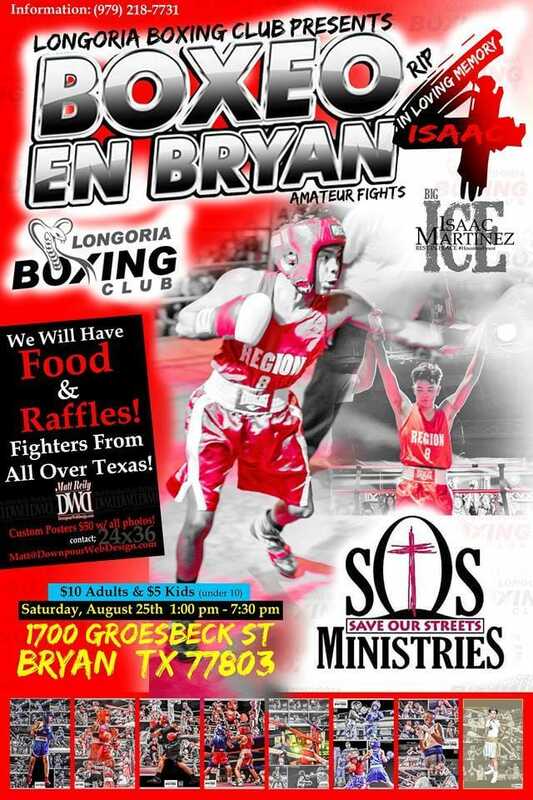 Francisco “Paco” Leal, Atzlan Boxing Gym looking for prematches for the August 17, 2013 boxing show for the following boxers: Franciso Gonzalez, 85 lbs, 13 yoa, 0 fights; Dominic Childress, 70 lbs, 9 yoa, 0 fights; Jose Lopez, 60 lbs, 8 yoa, 1 fight; Alexis Camacho, 193 lbs, 19 yoa, 0 fights; Michelle Garza, 185, 19 yoa, 4 fights. Contact me at (713) 385 9033 or contact Coach Richard Perez at (832) 640 8716. 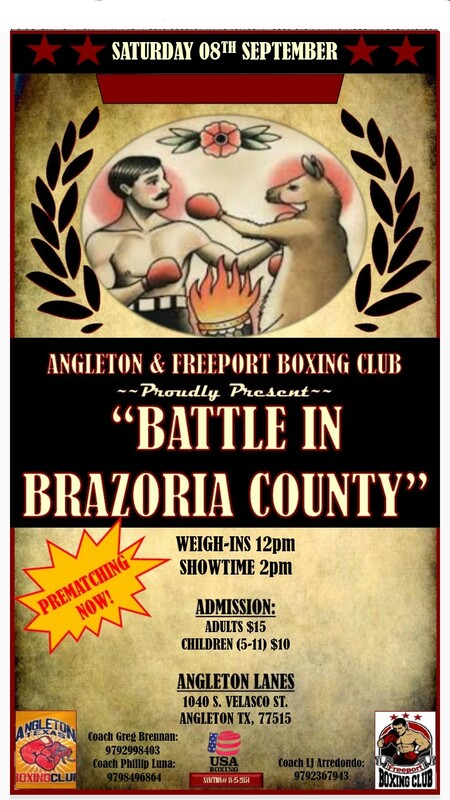 Contact me at 936-648-1047 Dalia- Conroe Pound 4 Pound Boxing! Looking for prematch for the Tko boxing show. Please add to the roster of the TKO Boxing Show. This pre-match was approved by Coach Samantha & Coach Gil. So far I have confirmed these pre-match fights for the TKO on 8/17/13. Please add these to the roster of the TKO Boxing Show. Mando’s Boxing Team from Killeen Tx. Can you please set the prematch for August 17th. Agustin Rodriguez/ 17 yrs./132 pounds/open/ Conroe Pound 4 Pound Boxing vs. Jamie Villegas/18 yrs./132 pounds/ open/ Lone Star Hitters. Sorry on that fight for Agustin Rodriguez vs. Jamie Villegas.We want to do 3-2 minute rounds. Looking to prematch for August 17th. Looking to prematch our boxers for July 27th & August 17th. Juan Sosa 13 year old 125 lbs. 0 bouts for Jonathan Aguilar? 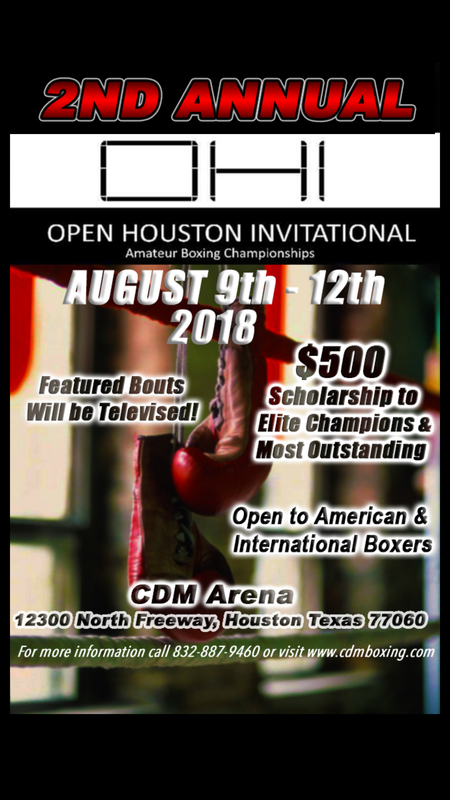 Coach Andrew Shorter unattached would like to pre-match Nighael Ceaser 13y/144lbs/0bouts with your Edward Picazo 15y/145lbs/0bouts…call asap to match. Coach Donis thanks for allowing the pre-match to be able to set Marcus Pickins to fight Tyrik Jones….I just have to call Chris from TKO to set it up. Coach Chris from TKO has the information for the pre-match….and once again thanks. Eddie Aceves asked to be pre-matched with Desmond Rice for a re-match…Give me a call so I can call TKO boxing to give them the go ahead….thanks. Thanks for accepting the re-match, and I already called TKO so the pre-match is set. Looking to match up for the TKO show. -Tavorian Beard, 8yrs old, 60-65 lbs 1 fight, but will probably have 2 or 3 fights by August 17.